I received this article in an email. The first domain: al-Islaam. It is wide to such an extent that the hypocrite enters within it and is called a Muslim and is treated like the Muslims, because he has submitted to Islaam outwardly. So therefore, he enters within the domain of Islaam. And the person who is weak in Eemaan [enters the domain of Islaam], but he has nothing from Eemaan except a mustard seed of it. The second domain: It is more restricted and more specific – the domain of al-Eemaan. The hypocrite in belief does not enter into it whatsoever. Rather, only the people of Eemaan enter into it, and they are two categories: those who are complete in Eemaan and those who are deficient in Eemaan. So, the sinful believer and dutiful believer both enter into it. The third domain: It is more restricted than the second one – the domain of al-Ihsaan. It just as the Prophet sallallaahu`alaihiwasallam made clear. No one will enter into it except the people of complete Eemaan. Firstly: Perfection of what lies between the servant and his Lord. This is what is meant. Secondly: Perfection of what is between the servant and the rest of the people. Thirdly: Doing well and perfecting what you do. When a person makes something or does an action, then it is obligatory upon him that he perfects it and does it completely. Something extra is looking upon the Face of Allaah. The reason is that they perfected their deeds in this world, so Allaah gave them the best reward which is Paradise. And He will give them an increase which is seeing Allaah, the Mighty and Majestic. So therefore, you worship Allaah as if you are actually witnessing Him, upon love and longing to meet Him, He the Perfect and Most High. You feel delight in obedience to Him and you feel calm and obedience to Him, He the Perfect and Most High. You eagerly desire obedience to Him. This is the path of the people of Ihsaan. The second level: If you do not reach this tremendous level, then you worship Him upon the path of al-muraqabah(watchfulness) such that you know that Allaah sees you, knows your condition, and knows what lies within yourself. Therefore, it is not befitting that you should disobey Him and contradict His command when He sees and observes you. This is a good state, however, it is less than the first one. So, as long as you know that He sees you, then you therefore perfect your worship of Him and you do it well, because you know that Allaah is seeing you. And for Allaah is the Highest example. If you were in front of a created being who had status and he commanded you with a command, and you were carrying this matter out in front of him and he was looking at you, would it be befitting that you be negligent in the performance of this action? The level of witnessing with the heart: It is that you worship Allaah as if you are seeing Him from the strength of certainty and Eemaan. It is as you are seeing Allaah, the Mighty and Majestic, with your eyes. The second level: It is that you worship Allaah knowing that He sees you and observes you, therefore, you do not disobey Him and contradict His command, He the Perfect and Most High. This is the level of al-Ihsaan and it is highest of the levels of the religion. Whoever reaches it has reached the highest of the levels of the religion. Before it is the level of Eemaan, and before that is the level of al-Islaam. The aayah proves that Allaah is with the people of Ihsaan. They are those who worship Allaah as if they were seeing Him, so Allaah is with them in a specific sense of Ma`iyyah – the Ma`iyyah with regard to aiding, helping, and tawfeeq (guiding them to and granting them attainment of correctness). «And place your reliance» Meaning: trust your affairs «to the All-Mighty, the Bestower of Mercy» He is Allaah, the Perfect and Most High. «When you stand to pray» You stand for worship and the prayer. «And who sees your movements along with those who pray along with you» He sees you whilst you are performing your rukoo` (bowing) and whilst you are performing your sajdah (prostration). He sees you in all the states of worship; standing, bowing, and prostrating. He, the Perfect and Most High, sees you. «Indeed! He is the All-Hearing, the All-Knowing» The One who hears your sayings. The One who knows your sayings, He the Perfect and Most High. This is a proof for the second level. «And you are not (O Muhammad sallallaahu`alaihiwasallam) engaged in any matter» This is an address to the Messenger sallallaahu`alaihiwasallam. In any affair from your affairs, from the affairs of worship or other than it – all of your actions and your movements – you will not be engaged in any affair at all. «Nor do you recite from it (i.e. 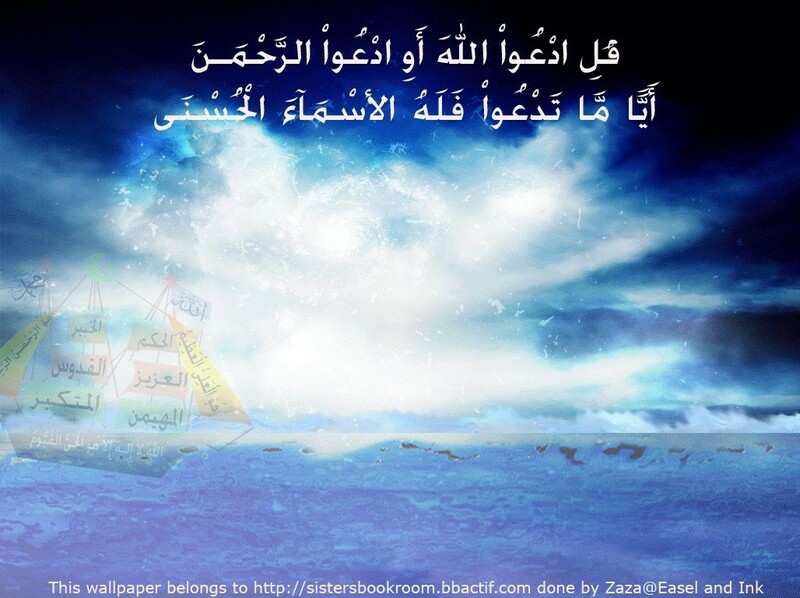 Book of Allaah)» Meaning: from Allaah, because the Qur`aan is from Allaah, the Mighty and Majestic. Or the pronoun could refer back to the affair, so the meaning would be: From the affairs which you are engaged in is recitation of the Qur`aan. «Nor do you do (O people)» This is [an address] for all of the nation, for the Messenger sallallaahu`alaihiwasallam and other than him. «Any action» Meaning: Any action from the actions, whether good or bad. «When you do them» You are carrying it out and you are doing it. So, this gives a proof for the second level from the levels of Ihsaan, in that He, the Majestic and Most High, witnesses the action of every doer of an action. He, the Perfect and Most High, sees him, knows him, and observes him. Nothing is hidden from him. As for Ihsaan between the servant and in the creation, then its meaning is: doing good to them and withholding from harming them. Such that you feed the hungry person, cloth the person without clothing, assist the needy person with your position, and that you intercede for the one who needs to be interceded for. You do that which is good with all the different aspects of good. You are hospitable to the guest and you are generous towards the neighbor. Nothing but good emanates from you towards the neighbor, and you withhold harming him. So, no harm comes from you towards him or towards anyone else. For from the people, there are who are such that nothing but harm comes from them, and from the people, there are those whom harm and good comes. And from the people, there are those whom nothing but good comes from them. This is the highest of the levels. Even towards the animals, it is obligatory that you treat them well and make available for them whatever they need and that you withhold harming them and that you are gentle with them. This is from Ihsaan towards the animals. Even a person who is going to be rightfully executed, you should not torture him, rather, you should execute him in a fine and tranquil manner. A person who is obligatory to execute, and someone it is obligatory to carry a hadd (prescribed punishment) upon, then it is carried out upon him with gentleness. There is to be no mutilation, no torture, and no beating to death. So, [the principle of Ihsaan applies] to execution or other than it from that which necessitates prescribed punishment. Therefore, you are to treat with Ihsaan even the animals. Allaah forgave the prostitute woman from the People of Israaeel on account that she gave a drink of water to a dog which had its tongue hanging out from thirst. So, she gave it water to drink and Allaah thanked her for that and forgave her, her sin. This is a tremendous sin and it is prostitution, meaning: zinaa(fornication). But Allaah forgave her on account of that – because she treated the thirsty animal in a fine manner. Reported by Muslim no. 1955 as a hadeeth of Shaddaad bin Aws, radiyallaahu `anhu. Refer to al-Bukhaaree no. 3467, Muslim no. 2245 as a hadeeth of Aboo Hurayrah, radiyallaahu `anhu. Reported by al-Bayhaqee in Shu`ab al-Eemaan 4/334 no. 5313 and no. 5314 from a hadeeth of `Aa.ishah, radiyallaahu `anha. [Declared hasan (good) by Shaikh al-Albaanee in Saheeh al-Jaami`. He spoke about it in Silsilatul-Ahaadeeth as-Saheehah no. 1113]. Sharh-ul-Usool-ith-Thalaathah by Shaikh Saalih al-Fawzaan | Translated by Dawud Burbank rahimahullaah.